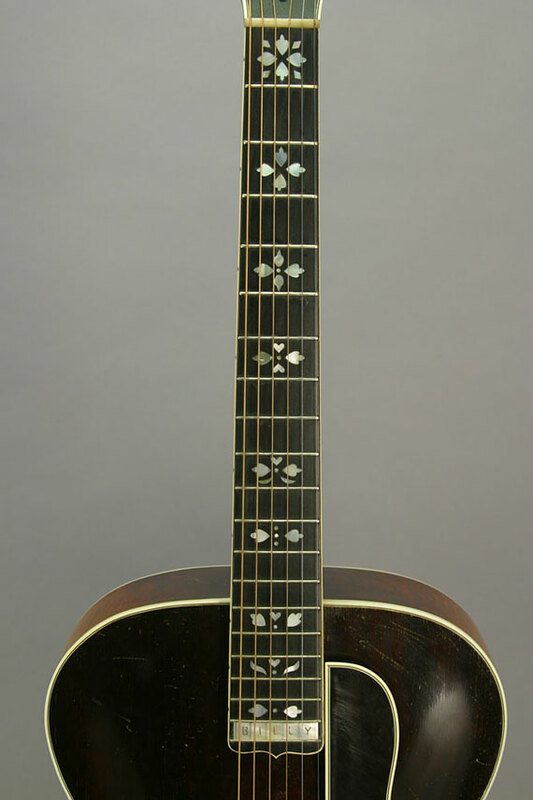 Billy was a professional dance band musician and must also have been a banjo player, because when he custom ordered this L-5, he had the classic "hearts and flowers" inlay installed in the fingerboard. 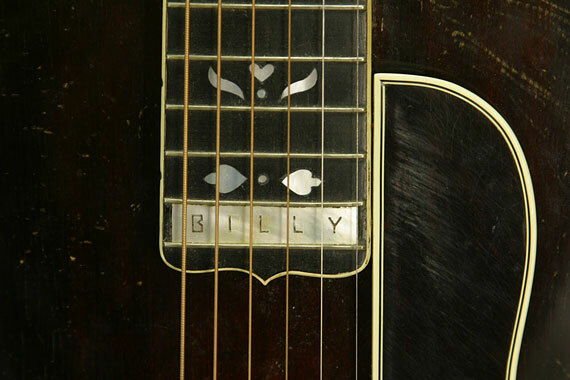 And, he had the position marker inlaid at the tenth fret. 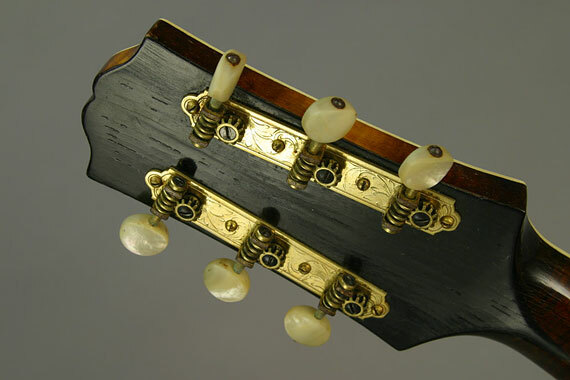 For reasons I still don't know, it has become standard for banjos and mandolins to be inlaid at the tenth fret and for guitars to be marked at the ninth. 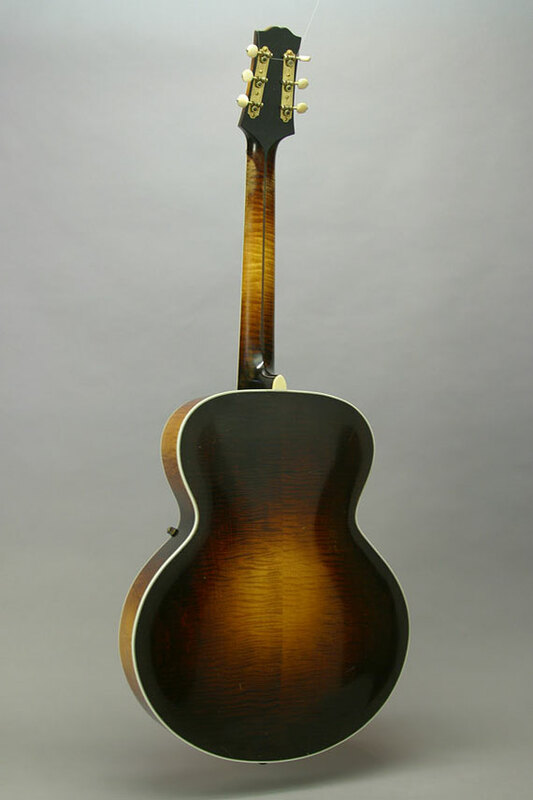 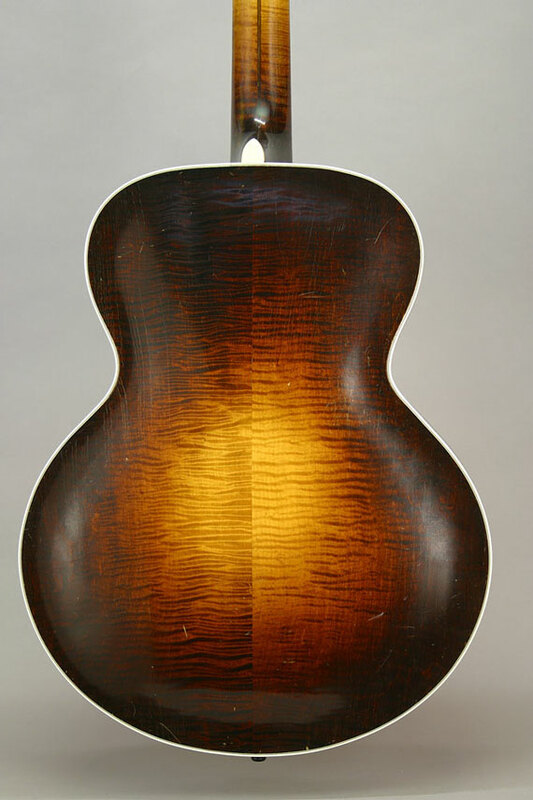 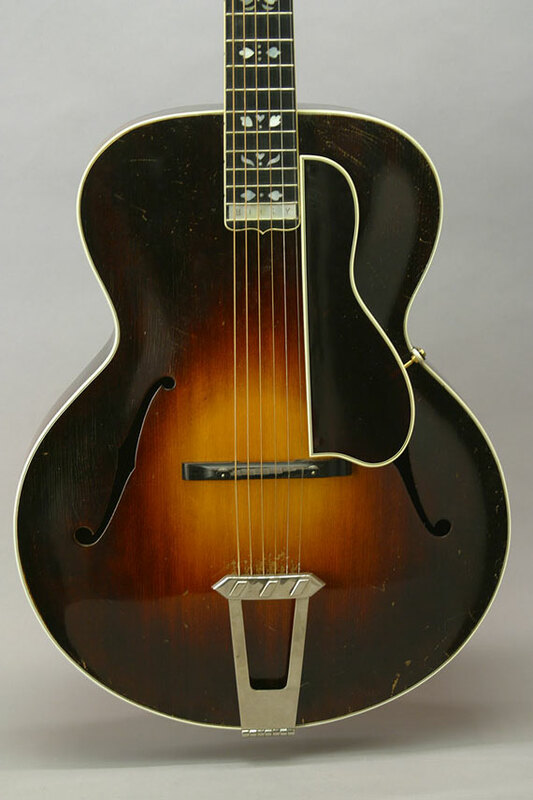 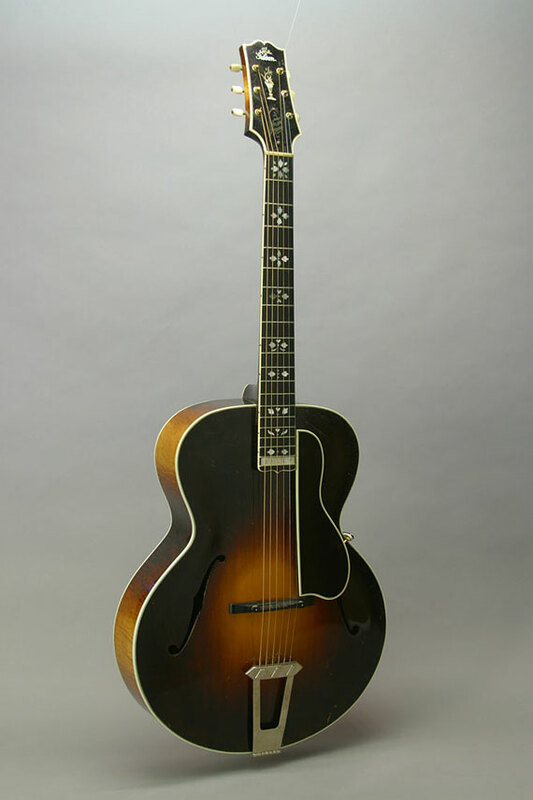 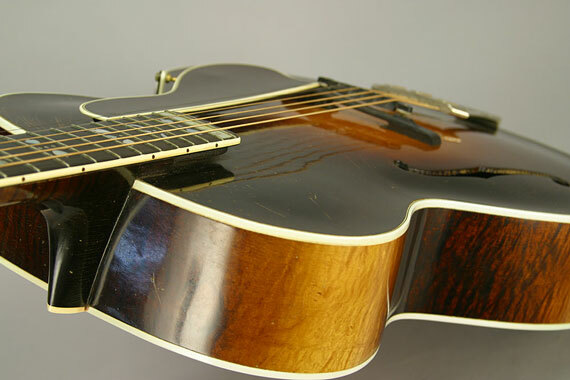 Apart from the replaced tailpiece, this custom L-5 is in very fine original condition. 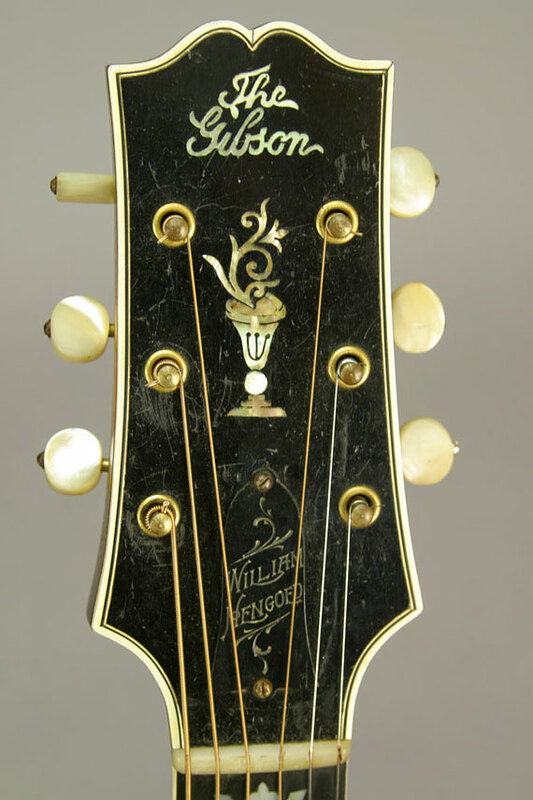 It looks as though Gibson chose especially good looking maple and spruce for this guitar, too.